Famous for its quirky golf-related ceramic decanters, McGibbon’s blended Scotch emerged during the 1970s from Douglas Laing & Co, one of Scotland’s leading independent bottlers. Two variants are currently bottled at 43% abv in uniquely-shaped limited edition, 50cl ceramic decanters that were relaunched in 2014. The Special Reserve decanter is shaped like a 3-wood club head, while the Premium Reserve is presented in a decanter moulded into the shape of a golf bag. 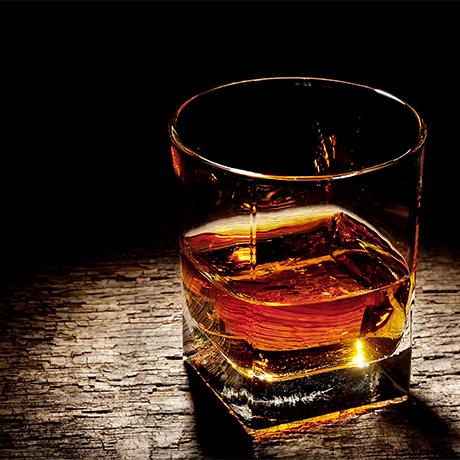 Both are matured in a combination of three different types of cask: first and second-fill ex-Bourbon and ex-oloroso Sherry. McGibbon’s Red Ribbon is the brand’s standard expression, bottled in a classic glass bottle at 40% abv. Although Douglas McGibbon & Co Ltd was created as a subsidiary of Douglas Laing & Co in 1947, the McGibbon’s brand didn’t surface until 1976 when the famous golfing ceramics range were launched in the UK and export markets. In 1990 the range had met with such success overseas that the company was awarded the Queen’s Award for Export Achievement. McGibbon’s continues to sit within Douglas Laing & Co’s portfolio. 2013 Brothers Stewart and Fred Laing split their company’s assets into two concerns. 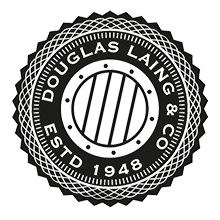 Fred Laing takes over ownership of Douglas Laing and retains the McGibbon’s brand. His brother Stewart Laing establishes Hunter Laing & Co.